According to appraisal theories, fear-related emotions are essentially influenced by appraisals of personal control. 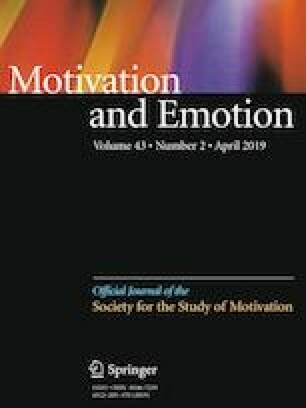 Most appraisal theories propose that control appraisals automatically influence individuals’ fear responses, outside of their subjective awareness of that influence (Moors et al. Emot Rev 5:119–124, 2013). Providing empirical evidence for this idea, the current research showed that an unobtrusive manipulation of participants’ control appraisals via priming influenced their reports of fear-related emotions towards a subsequently presented threatening stimulus. In three studies, participants who were primed with a low degree of control in an ostensibly unrelated task reported more intense fear and anxiety toward the same stimulus compared with those who were primed with a high degree of control. This result generalized across different priming manipulations of subjective control and different threatening stimuli. All procedures involving human participants were carried out in accordance with the Institution’s and/or National Research Committee’s ethical standards, and with the 1964 Helsinki Declaration and subsequent amendments, or with comparable ethical standards.